Your field guides to learning sparrow identification. All are seasoned leaders who graciously give their time and talent to many Texas birding adventures. 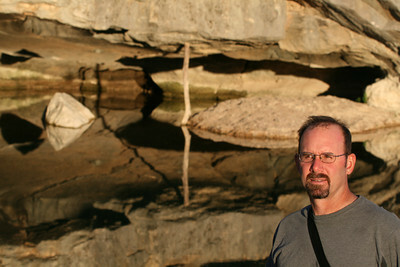 Byron Stone is an Austin physician and naturalist with a lifelong love of the outdoors. 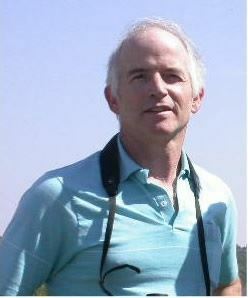 He has been an avid birder for over three decades, and has traveled all parts of Texas to observe birds and wildlife. Byron's interest in sparrows dates back over two decades ago, when he began to try in earnest to tell apart all of those "little brown birds." Byron began digiscoping (using a digital camera through a spotting scope) at about the same time that he began teaching the sparrow identification class for Travis Audubon Society serveral years ago, and he now uses primarily his own digital images to teach classes and workshops on sparrow identification. Byron's classes for Travis Audubon Society's have received rave reviews, and he is excited to have the opportunity to share his interest and enthusiasm for sparrows and other grassland birds with the Friends of Balcones Canyonlands NWR. He says that his motto for the classes and for the workshop is "we make sparrows fun." Join us for this workshop and he says he will do his best to ensure that participants learn a lot about sparrows, and have fun doing so. Byron was featured in the Wall Street Journal Feb 23, 2006! "Birdwatchers Find Sparrows Often Are A tough Nut to Crack", by Neal Templin who attended the workshop! Bill Reiner has been birding for more than 30 years – first in Ohio and then, since the late 1980's, in central Texas. 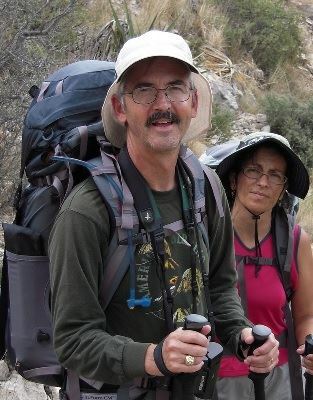 Bill is now a biologist with the City of Austin Balcones Canyonlands Preserve, which, like the refuge, protects endangered species such as Golden-cheeked Warblers and Black-capped Vireos." He is fascinated by all aspects of natural history and ecology, especially with how plants and animals fill niches in their environments and form communities. He explores these themes in a monthly nature column that he writes for the Travis Audubon Society newsletter. Bill started Travis Audubon Society’s popular sparrow identification class, which he taught for four winters. 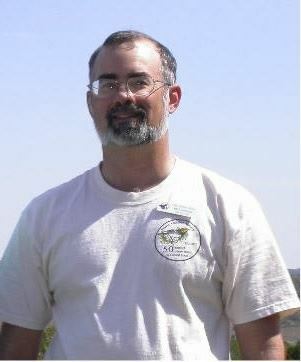 From 1999 to 2005, he joined the staff of Balcones Canyonlands NWR, where he became familiar with the many wintering sparrows of the refuge, and led several field trips to see them. Helping other birders to see the sparrows, to distinguish among them, and to appreciate them, has always been a highlight of his winter outings. Randy Pinkston’s life has been defined by birds & birding since 1972. His focus is Texas and North American birds, although he enjoys neotropical birding and has traveled widely in Mexico and Central America. Pinkston has a wildlife science degree from Aggieland and at one time hoped to make some sort of living in birds. Instead, he took the easy way out and became a surgeon so that he could afford to live a comfortable life in birds & birding. He has led numerous birding tours in Texas & Arizona over the past 30+ years, including several central Texas winter sparrow workshops for TOS. He has done pineywoods breeding warbler trips for TOS, is a Life Member of TOS and has served on its Bird Records Committee. He co-authored the Texas column for North American Birds magazine since 2004. Recently Randy has taken an interest in birding with a digital camera and telephoto lens. Jeff Patterson was raised in a Texas birding family, and has been birding almost as long as he can remember; over 40 years and counting. He is employed as a technical specialist at the Texas Commission on Environmental Quality, and continues to explore and bird natural areas throughout the state. Jeff became curious about the sounds that birds make during the mid-1980s. And with today’s digital resources he has become fascinated with all aspects of bird sounds, so over the past few years he has developed and taught a popular class for the Travis Audubon Society on the bird vocalizations of central Texas. Jeff also leads the Travis Audubon Field Trip committee which provides numerous field trips to the Austin birding community each month. Like most birders, there was a time when Jeff found those little brown birds frustrating; but after learning to appreciate them, birding for the winter sparrows of Cen-Tex has become one of his favorite pastimes.